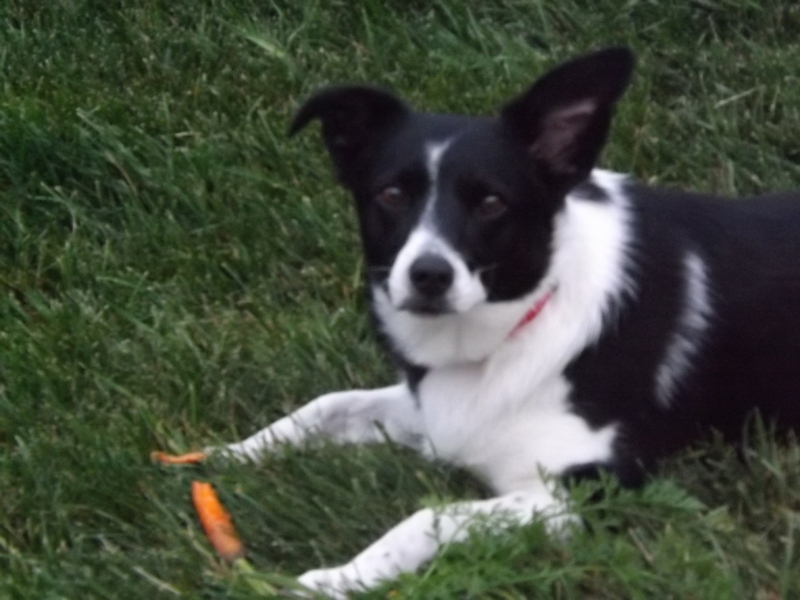 Tonight Grace and I decided to pull out a carrot and see how they were doing. No sooner did we have it out of the ground and Bell grabbed it and ran. Settling into the grass, she proceeded to chew it up, savoring every morsel. 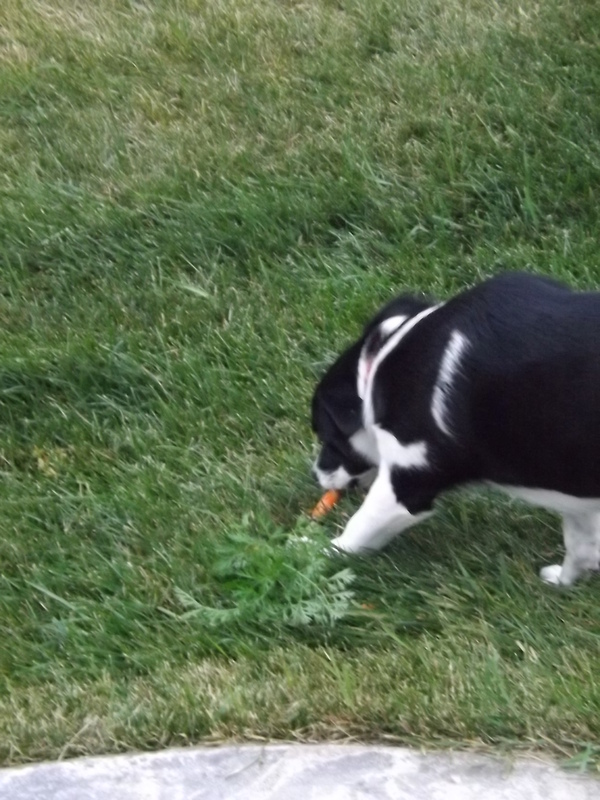 We might not have been able to sample this particular carrot, but if the smell was any indication, it was definitely a good one. The carrots are still a little small. A few more weeks and we should be able to harvest, and for this I am — Simply Grateful.